Students at Quwwat-Ul-Islam Girls’ School raised £1,350 for an East London homeless charity by holding a sponsored sleepout and Winter Bazaar. The Year 10 students at the school were inspired to spend a night sleeping out in the school hall after learning about homelessness from a workshop delivered by the charity Caritas Anchor House. 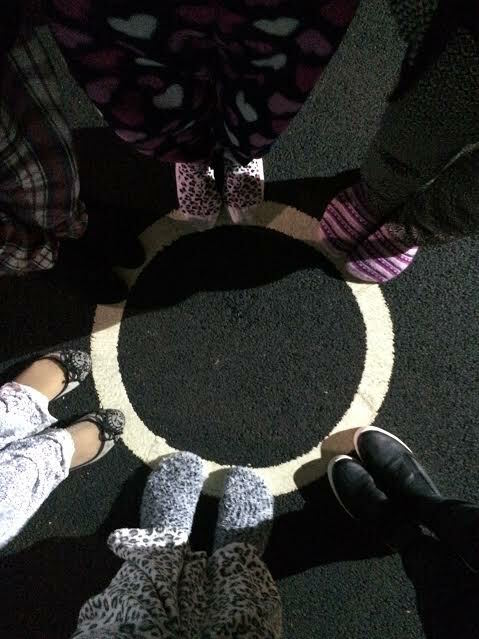 In taking part in the sleepout, the student’s aim was to better understand the experiences of homeless people, and to raise funds for Caritas Anchor House, which provides a home and support to over 230 homeless people each year. 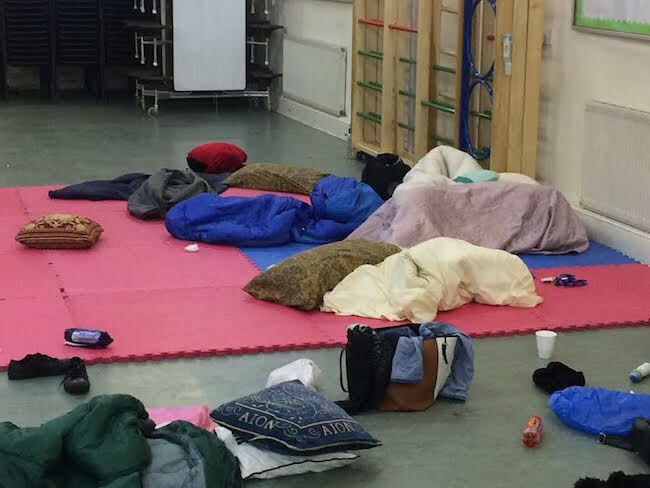 The sleepout made the students realise how difficult and isolating it is to be homeless. The students were provided with blankets and warm clothes during the winter’s night, but the sleepout made them realise how little homeless people can have. “Unfortunately, a lot of homeless people do not have access to the warm clothing that we had throughout the night, or many of the things we take for granted,” said Samiira. Quwwat-Ul-Islam Girls’ School also held a Winter Bazaar to raise funds for Caritas Anchor House where food, drinks and clothes were sold. Caritas Anchor House provides a home and support by those who have been affected by homelessness, drug and alcohol misuse, mental health, domestic abuse and offending. They also act as an empowerment hub for the local community in Newham, East London and record over 17,000 visits from these people accessing their services each year. If you would like to make a donation to the work of Caritas Anchor House, please visit their Just Giving page here.